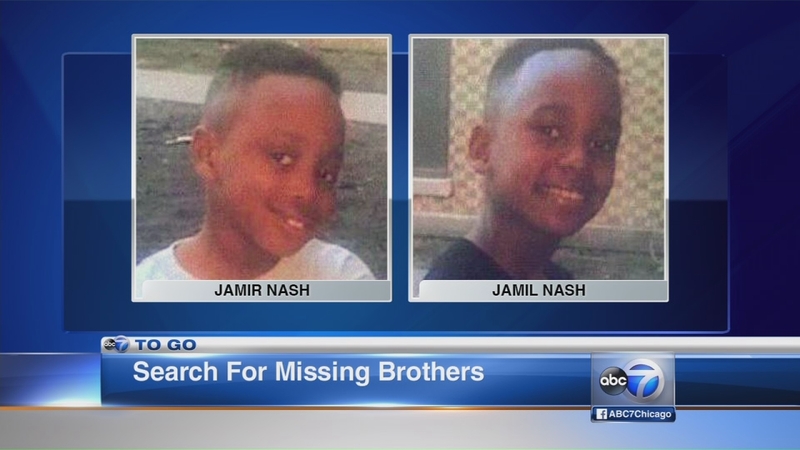 CHICAGO (WLS) -- Two boys who were reported missing Monday afternoon, have been found. Chicago police are talking to the father, but no charges have been filed as of Tuesday afternoon. Jamil and Jamir Nash, 10 and 7, respectively, were last seen Monday at Iowa and Campbell in the Ukrainian Village neighborhood after being dismissed from the Chopin School. The brothers were together and wearing the same school uniform: navy blue shirts with navy blue pants. An aunt who usually picks them up was told their father came to get them. Their father did not have permission to pick up the children, but the boys are not believed to be in any danger.